HIT! 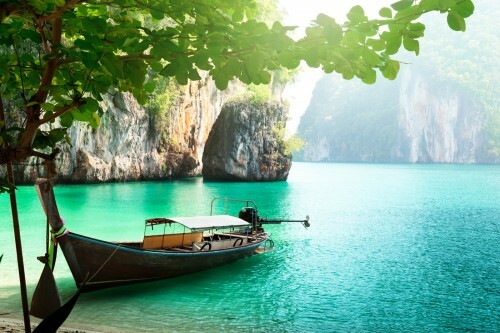 Cheap flights to Thailand: Bangkok for €286! Ukraine International Airlines come back with another incredible price to Thailand. You can now book multicity flights Athens – Bangkok – Frankfurt for only €286! There is one quick stopover in Kiev. Travel dates are already in June 2014 which is still great time to visit Thailand. Book via BudgetAir to get the best price (click on Show extra search options to enter return to Frankfurt). 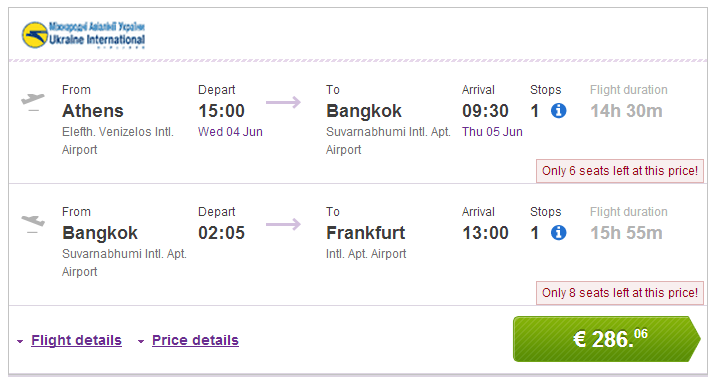 The other deal to Bangkok from Milan for €288 we informed about earlier this week is also still available!